Other Items - Tuffstuff Ltd. Walk 2 dogs with one lead. Suitable for all breeds. Walk 2 dogs with one lead. Suitable for small breed dogs. Adjustable belt with clip fastener. Headphone port. Zippered rear pocket, internal mesh pocket within main body. Key hook. 2.5 litres capacity. Detachable adjustable neck cord. Belt loop and carabiner clip. 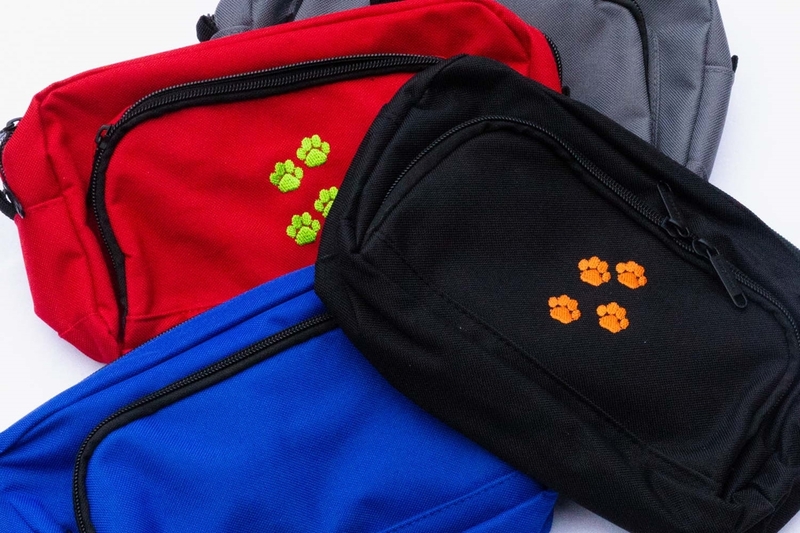 Zippered side pocket for keys, clicker or poo bags. Velcro closure on main pocket for quick access.